You won’t see this park on any official map, and there’s no sign announcing it’s presence — but you’ll know it when you see it. 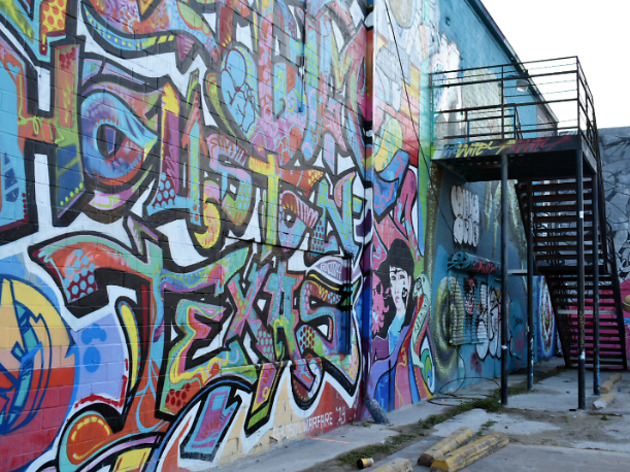 For a few blocks in Houston’s East End, nearly every square inch of building is covered in colorful street art. 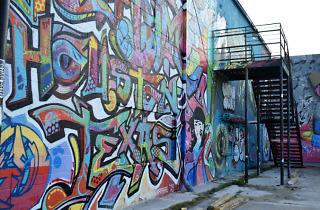 Many of the works painted here were created as part of the Houston Urban Experience (HUE) Mural Festival, an annual gathering of artists launched in 2015. Affectionately dubbed “graffiti park” by locals, this sampling of murals is just the latest of a citywide effort to embrace the genre and add color and beauty to Houston’s downtown.